Moisturizes skin leaving it silky and smooth. Directions: Massage gently on face and neck after cleansing daily. Helps reduce the appearance of wrinkles and expression lines. Directions: Apply on face and neck daily in the morning and at night after facial cleansing. Directions: Apply on face and eyelids. Gently massage to remove makeup with a cotton ball or facial towel. Lightens dark spots for a clearer skin. Directions: Apply a small amount as a thin layer on the affected area twice a day, or use as directed by a doctor. If no improvement is seen after 3 months of treatment, use should be discontinued. 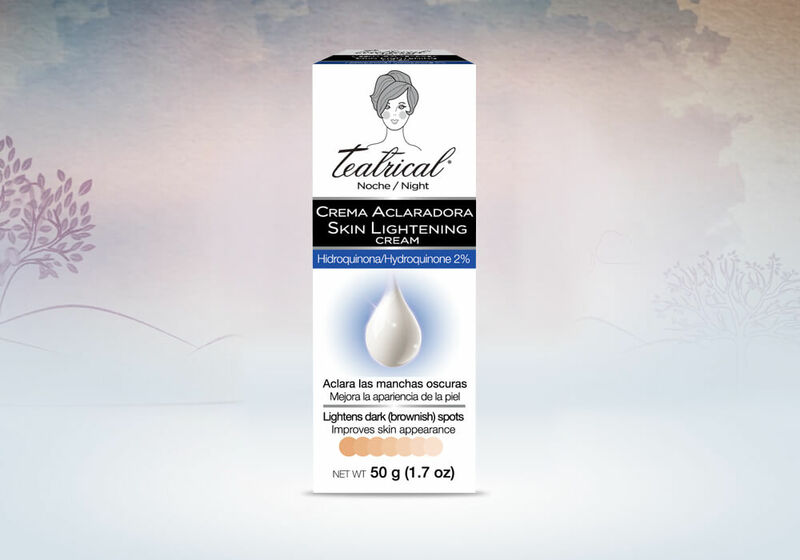 Lightening effect of this product may not be noticeable when used on very dark skin. Sun exposure should be limited by using a sunscreen, sun blocking agent or protective clothing to cover the bleached skin when using and after the treatment is completed in order to prevent darkening from reoccurring. 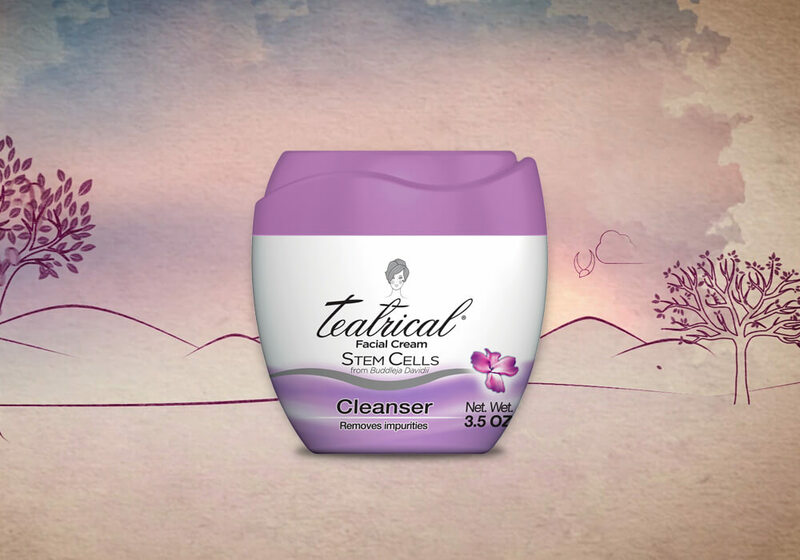 The Teatrical Stem Cells line with the nurturing benefits of Buddleja davidii stem cells. The cultivation of Buddleja davidii stem cells is an innovative and sustainable technology that provides the skin with the best properties of nature. Studies carried out with the stem cells of Buddleja davidii identified unique antioxidant properties, prevention of skin aging, and a nourished soft and rejuvenated skin. 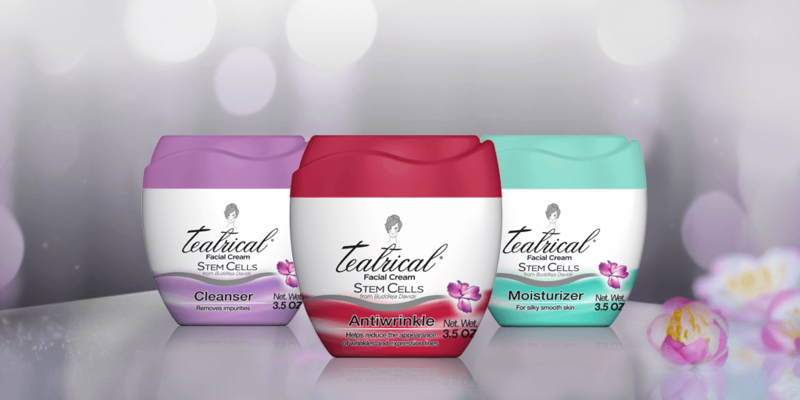 Teatrical Stem Cells, is a line specially designed for facial care that has Moisturizing, Anti Wrinkle and Cleansing varieties, all with the additional benefits of Buddleja davidii stem cells.